Sometimes we just focus on exercising our body but we forget the importance of exercising our mind. That is the reason why we should keep our brain active, and there is no better way to do it than through reading. Reading makes us enter a world of imagination, it forces us to be concentrated so we don’t lose track of the plot and it helps us to escape our daily routine. On April 21st the XIII edition of books night takes place in Madrid. Several points of the city will be used in order to make an homage to literature and national and international widely known writers. Besides, several activities are organised during the night like “solving a murder” which will make you feel like part of an Agatha Christie novel or activities related to Harry Potter like a costume party or a magic performance. During this day, shop books will offer a 10% discount, so, it is a perfect timing to buy that book you are willing to read so long ago. 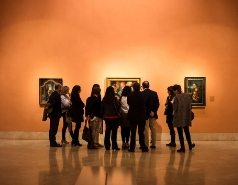 The fair will start at 6pm with a storytelling of the Quixote in the Círculo de las Bellas Artes. 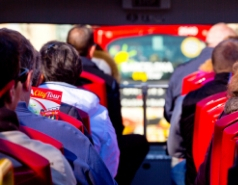 You can get there by taking tourist bus Madrid City Tour. Just hop off at stop No.2 of Historical Madrid Route or in Stop No. 13 of our Modern Madrid RouteJust hop off at stop No.2 of Historical Madrid Route or in Stop No. 13 of our Modern Madrid Route (Puerta de Alcalá). You will be able to reach other points of interest like La Real Casa de Correos, Puerta del Sol or Plaza de los Pontejos getting of at Stop No. 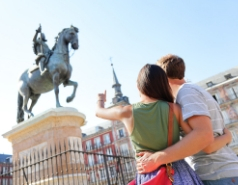 17 of our Historical Madrid Route or stop No. 15 of our Modern Madrid Route17 of our Historical Madrid Route or stop No. 15 of our Modern Madrid Route (Puerta del sol). From 7:30 pm several activities will take place so, it is the perfect place to finish your touristic bus journey and start the celebration of this beautiful literary night.